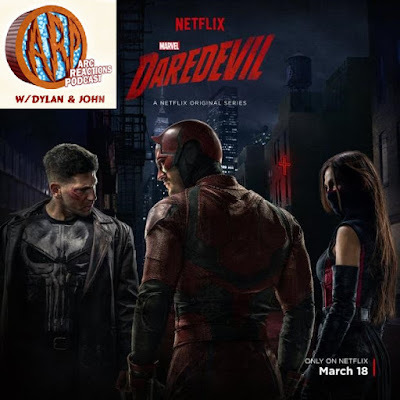 This week the guys sit down and discuss Daredevil season 2. This season the show continued to deliver the same high quality as last year. The guys enjoyed it, giant plot hole and all. So sit back and relax, but be warned there are spoilers ahead, and Enjoy our review of Daredevil Season 2! Special Podcast Co-Hosts include: Karen Hernandez, Josh Cui, Derek Yang, Dale Church, Eryn Roberts, Travis Czap, Andrew Benson, Steve DiMaria, Gabrielle Beans, and Brandon Lewis.